Immaculate single level Ferrini Heights home features 3 bedrooms, 2 bathrooms plus a bonus room off the garage. Relax into an open floorplan with a remodeled kitchen, hardwood floors and dual-paned windows providing unlimited natural light! Breathe-in the beautiful views and splashes of wildflowers in this meticulously maintained and move-in ready home. Updated features include: new electrical panel, tankless water heater, air conditioning unit, updated duct work, interior paint, epoxy-floored garage, new front & interior doors. Recently added retaining walls in the backyard create several useable spaces. 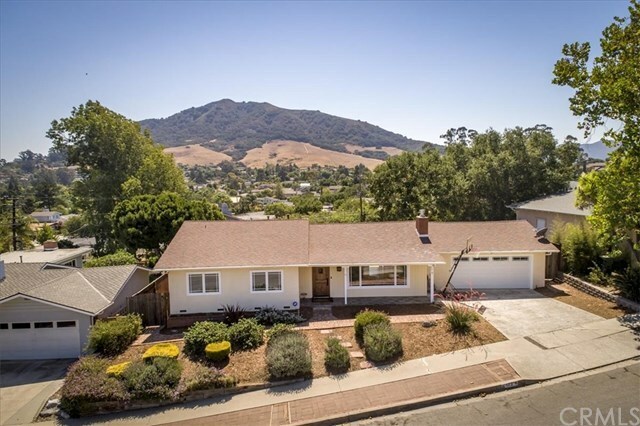 Close proximity to Bishopâs Peak & Pacheco Elementary Schools, Cal Poly, and hiking trails. Call today to schedule your showing!